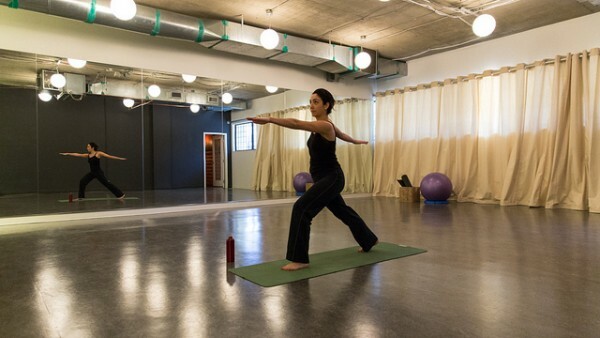 HootSuite’s yoga room hosts complimentary classes for staff throughout the week. Staying fit and healthy while killing it on the job can be tough. At HootSuite, where things tend to move at a lightning speed, it can be especially challenging for many of us to maintain a good work-life balance. ‘The Jimmy Sluggers’ are one of HootSuite’s lunch hour workout groups, led by staff member and resident fitness trainer Gerard Recio. HootSuite’s kitchen is the heart of the office, a large, open space with microwave ovens, dishwashers, picnic tables and more. It really caters to our tight-knit community of salad-loving, lunch-sharing coworkers. We love to enjoy our food while taking a mental break from work by regularly connecting with our colleagues. 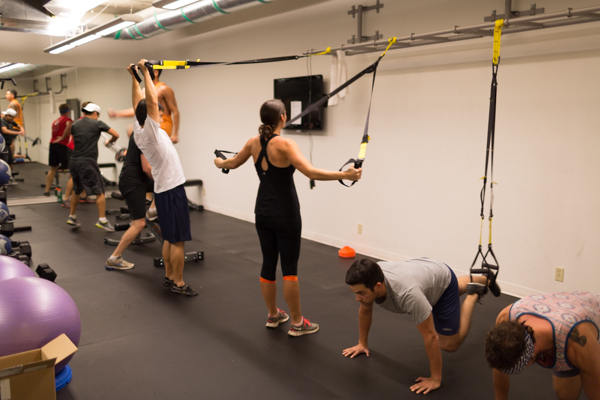 Lunch hour is also a great time to get some in some exercise at HootSuite. Whether it’s a routine ping pong match, a walk around the block or even a 45-minute power workout in our in-house gym, it’s amazing to see people getting up from their desks and moving their bodies at lunch time. “The noon workout is a great break for me as it forces me to get away from my desk. HootSuite’s ‘Green Team’, a group of staff volunteers, attends regular workshops and is responsible for maintaining the rooftop gardens. 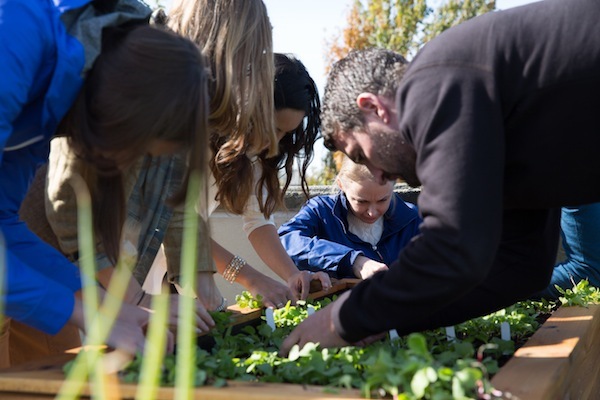 The urban garden growing on the rooftop of our office HootSuite isn’t just a place to harvest healthy snacks and salad ingredients. For those of us who live and breath in the digital world, it’s a place where we can grab a gulp of fresh air or grab ten minutes in the sun. Many studies have shown the benefits of exposure to natural light for humans. Those who spend more time in natural lighting tend to have considerably higher levels of of productivity, alertness and even sleep longer at night. Many of us go for “walking meetings” outside, bike to work or even bring our laptops up to the roof or office front stoop for an hour. 3. We Benefit From Dog Therapy. Cash, one of HootSuite’s full time dogs, spends her workdays with mom Chandra and HootSuite’s Corporate Account Management team. A recent study by the University of Missouri found that interacting with animals significantly increases your levels of Oxytocin, the hormone that causes people to feel happy and trusting. At HootSuite, there are nearly 20 full time dogs that work alongside us each day. 4. We Take Afternoon Naps. 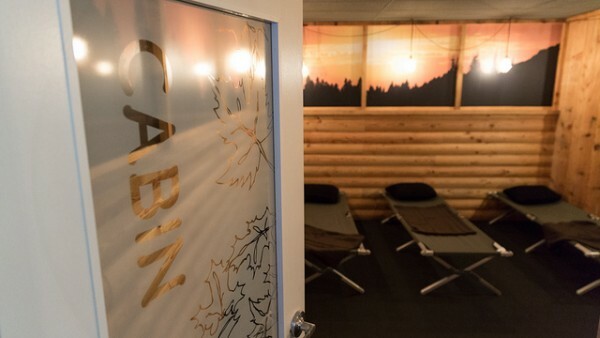 The HootSuite nap room contains multiple cot style beds and custom lighting for midday power naps. Short, 10 to 20 minutes power naps have been shown to give people a quick boost in energy and alertness, without the detrimental effects (eg. grogginess) of a longer one. Many forward-thinking companies have caught onto the trend, letting their employees nap in the workplace. HootSuite is one of them. I can go to rest my eyes and my mind for 10-15 minutes and come back to my desk feeling energized for the rest of the day. 5. We Stay Fuelled With Healthy Snacks. Ryan Holmes recently teamed up with Vancouver-based snack delivery company Snackbox, to create a custom box full of his favorite healthy snacks. We don’t shy away from snacks, but we tend to avoid the sugary fatty kinds that keep us from feeling good throughout the day. I always keep healthy snacks on my desk, like almonds and kale chips, to keep me fueled throughout the day. 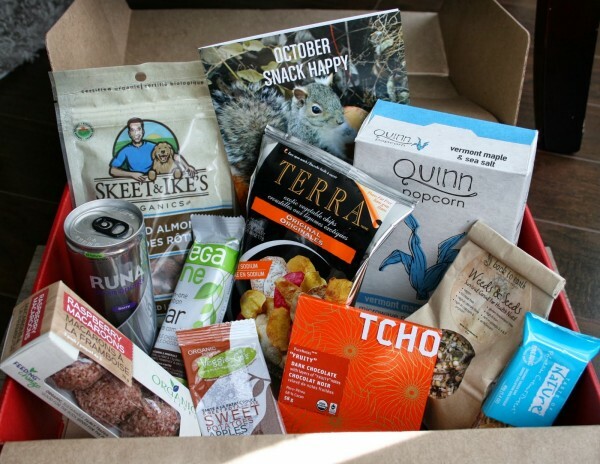 In fact, Ryan’s recently teamed up with Vancouver-based snack delivery company Snackbox, to create a custom box full of his favorite healthy snacks. See more of the #HootSuiteLife and head on over to our Careers Page.